The rising oil prices, growing awareness about fuel-efficient and environment friendly cars has turned the attention of car manufacturers to alternative fuels like LPG (liquid petroleum gas), electric cars and dual fuel cars. These cars are getting more popular as it saves money and reduces pollution. Car manufacturers have also introduced dual fuel cars, which gives the option of both petrol and LNG engines. 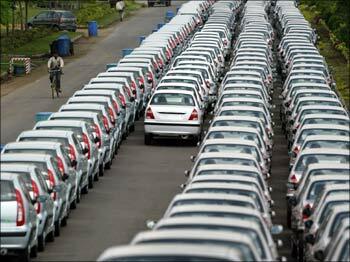 Image: New cars awaiting despatch at Tata Motor's plant in Pune. Maruti Suzuki is now developing a dual-fuel engine, which will run on petrol and CNG (compressed natural gas). This vehicle is estimated to cut down fuel costs substantially. 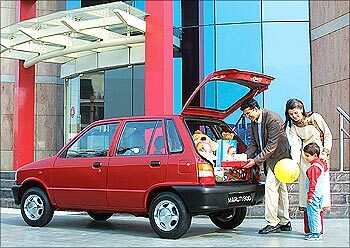 Maruti Suzuki introduced a new Omni fitted with LPG kit in 2003. This was India's first clean fuel car to hit the roads. This Omni cargo is priced at Rs 203,565, while the Omni LPG - BS III is priced at Rs 238,784. 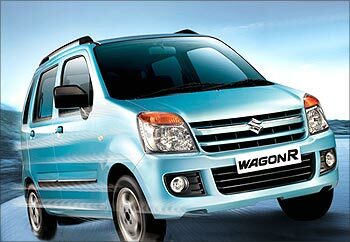 Maruti Suzuki launched two re-designed versions of the WagonR in 2006. 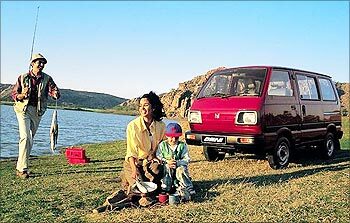 The LPG-fitted WagonR, known as WagonR Duo, is one of the most popular LPG cars in India. The LPG-petrol Duo Wagon R is priced between Rs 340,000 and Rs 360,000. Hyundai launched the LPG version of its flagship brand Santro in 2008. 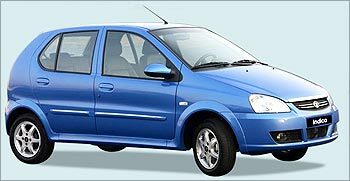 Called Santro eco, it comes with a factory fitted LPG kit. With separate Petrol (35 Litre) and LPG (27.2 litre) tanks, customers can choose from both LPG and petrol mode. 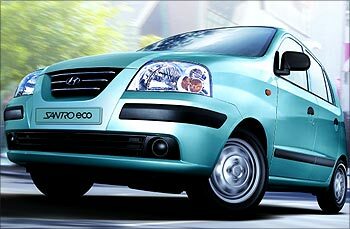 Santro eco with lowest level of greenhouse gas emissions is an environment friendly car. It is priced at Rs 376,000. Maruti Suzuki introduced the 800 Duo in 2008. The car can easily switch between petrol and LPG mode. The car is priced between Rs 2.05 lakh and Rs 226,000. The Maruti 800 Duo works on gas mixer system which results in optimum performance and superior emissions. The LPG variant emits 10 per cent lower carbon dioxide than the petrol variant. The car is priced between Rs 205,000 and Rs 226,000. This eco-friendly car from Tata Motors comes with a dual fuel engine. It can run both on petrol as well as LPG. The Indica V2 Xeta LPG is equipped with a dual fuel (petrol and LPG) engine, which reduces carbon dioxide emissions by about 10 per cent, with good fuel efficiency both in the city and on highways. The new Xeta LPG comes with a 1.2 litre MPFI engine with two ECUs (Electronic Control Units). The engine meets BSIII emission norms, but can be upgraded to meet Euro IV norms. Their wealth exceeds GDP of 140 nations!